Be Creative Mummy / UK lifestyle Blog / Crafts: 4 Quick and Simple Steps for a Great Halloween. 4 Quick and Simple Steps for a Great Halloween. Avoid getting spooked by Halloween. I have prepared 4 quick and simple steps. So, to make sure your Halloween is a delicious one. Please, follow me. Step 1. - Pumpkin pancakes. Step 2. 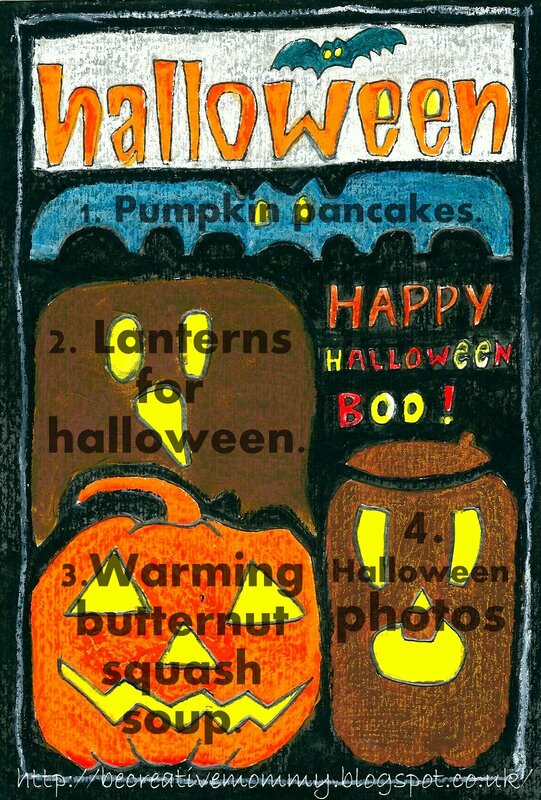 - Lanterns for halloween. 1 STEP AND 2 STEP - DONE!